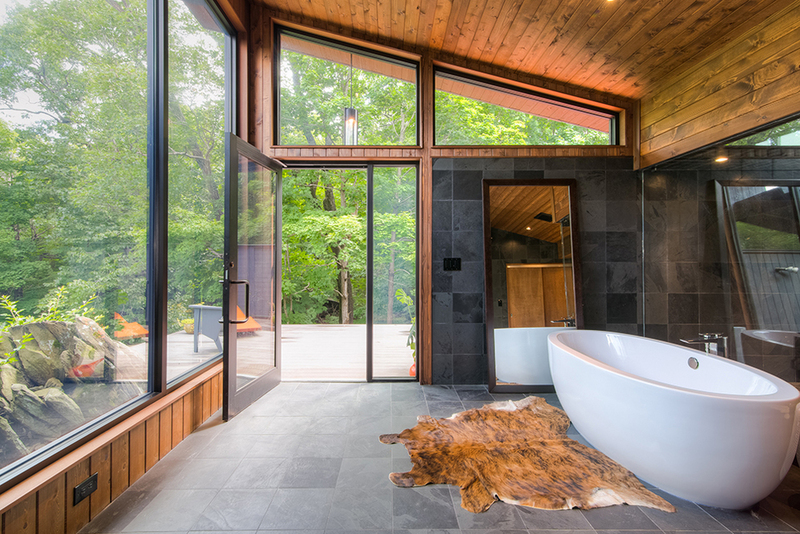 We worked closely with the owner of this gorgeous Hyde Park home in the Hudson Valley to do a completely customized 500 square foot addition to feature a stand-out, luxury ensuite bathroom and mirrored private gym. It was important that we respect and replicate the original, historic house and its overall look and feel, despite the modern upgrades. Just some features of this complete, top-to-bottom design/build project include a simple, but beautiful free-standing soaking tub, steam shower, slate walls and slate floors with radiant heating, and custom floor-to-ceiling glass work providing a stunning view of the Hudson River.